Gorgeous butterflies Em and a nice clean and crisp design. Great that you came over the the Playground this week, Viv and I are in charge (well sort of) up in the treehouse so do pop up as I have a few bottles stashed under the bench. Delightfully fresh looking butterfly card. This is beautifully simple. I like that splash of colour in the middle and the die cuts are so dainty. I love how you have created the butterfly. Both those colours goes so well together. I love the CAS styling to your card too. As you have used both of the elements your card will be entered into the draw twice. 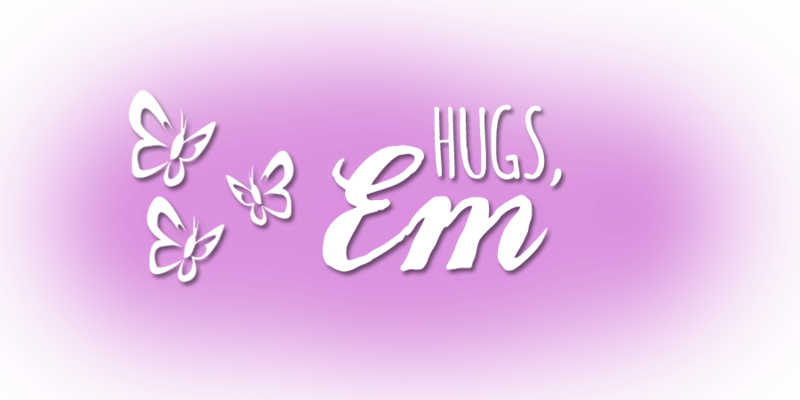 Thankyou for fluttering by. 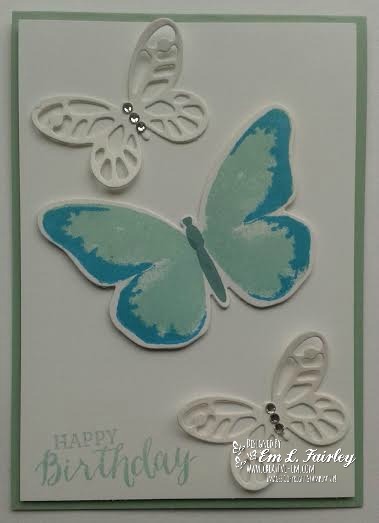 Loving those butterflies....such a gorgeous card!! Very pretty - love the butterflies. Very pretty colours and butterflies. Very pretty and perfect for Mrs. A's challenge.